Corner-Unit Townhome in the Heart of Midtown! Renovated by Mark Williams Design. Bright, open living and dining area. All-new Kitchen with custom stained cabinetry, stainless appliances, quartz countertops. Private, landscaped terrace with stone pavers. Oversized Master Suite with private patio. Renovated Master Bath features a soaking tub, double vanity, and frameless glass shower. Two gated and covered parking spaces with a storage unit. 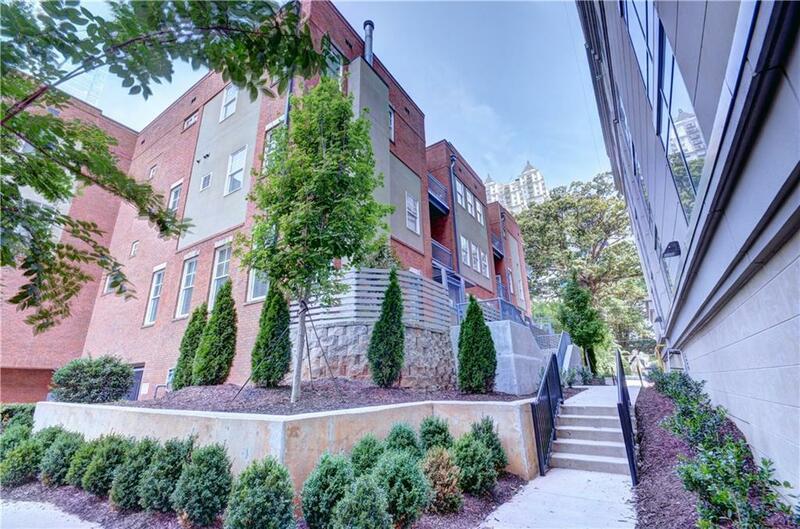 One block from Piedmont Park and shops/restaurants on Peachtree Street.